Hi! I'm a computer science student interested in programming, game design and robotics. Please have a look at the different categories below, or read more about me here! There's a new update for my Minecraft resource pack. This update covers Minecraft 1.9 as well as Minecraft 1.10 and includes Boats, Beetroots, Redstone, Purpur Blocks, Magma Blocks and more! The results for Ludum Dare 34 are here! I'm 141st out of 1638 jam entries in the fun category. Look at how well my game scored in the other categories here. 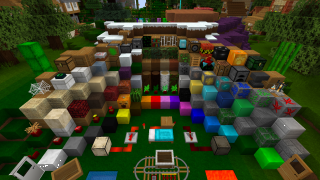 You can find my Minecraft resource pack here!